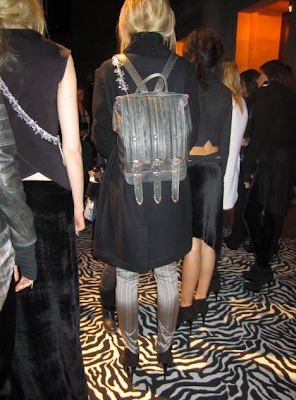 Fashionably Late Post: F/W 11 LG TORONTO FASHION WEEK! This past F/W 11 Toronto Fashion Week, Your Truly was blessed to help out with two amazing designers that demanded MUCH attention on the runways. I got to work up close and personal with sister designer duo Chloe Comme Parris, where Chloe and her awesome interns were complete dolls! I enjoyed every minute working with them. I met Parris the day of the show as she was super amazing! It was like I had already known her. 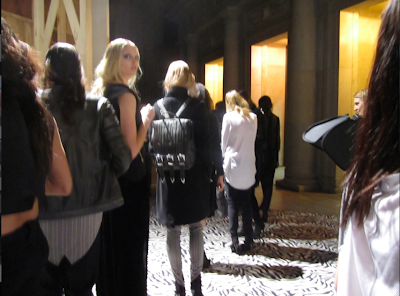 Here are backstage pictures from the Chloe Comme Parris Show! Ps. My Interview Questions for this dynamic sister duo is coming very soon. 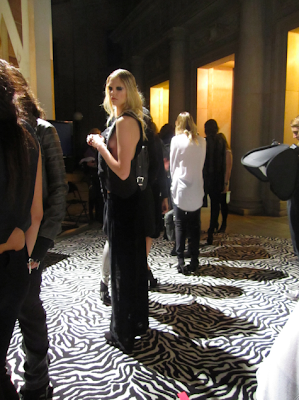 Check my backstage pics out, their fashion film directed by Renata Kaveh & runway clips! Enjoy! - I had a blast!